Cryptocurrencies are still much of a fuss these days, in case you happen to be a crypto-maniaс there's a chance you know a few places where you can pay for a cup of coffee or pizza using Ethereum or Bitcoins. If you're not one of these guys, but you're a business owner you need to make sure crypto fans can pay for your services using their preferable currency which is not US Dollars, or Euro obviously. 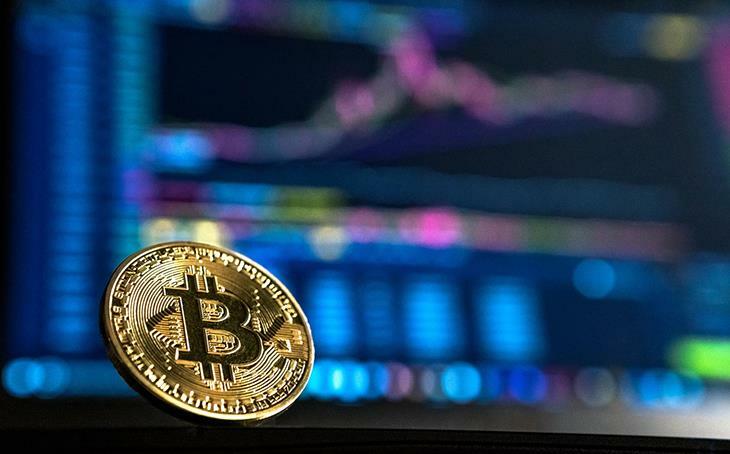 It's expected that in a few years from now, cryptocurrencies will become generally accepted payment option available all around the world, so why not to get prepared in advance? If you're ready to start accepting cryptocurrency transactions, this easy to follow tutorial is exactly what you need, to learn how you can do this keep on reading. How to Accept Crypto Payments on Your Website? As always there's an easy way and a hard one, here I'm going to show the easiest ways of how you can start accepting Bitcoins on your website. If your website or store is equipped with WooCommerce plugin this will be really easy to perform. In case you don't have a website feel free to check out these Cryptocurrency Wordpress Themes that are built to absolutely universal and will definitely fit your niche. First of all, you need to go to your plugins section and install a new plugin on your website. 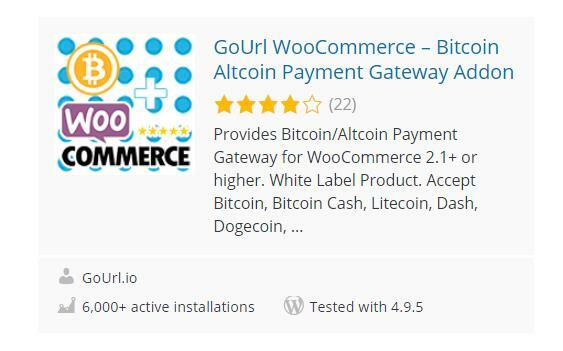 The plugin is called - WooCommerce Bitcoin Payments and it was developed by the CoinGate cryptocurrency gateway. Please note! If you want to keep your website safe and sound you need to have a sandbox where you test third-party plugins which you're going to install on your website. It's much better if your sandbox falls apart but not your live website. 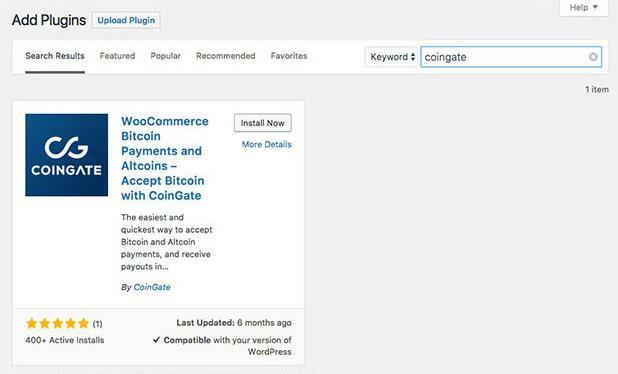 Go to your plugins section and type coingate into the search. In case your store was already up and running you need to make a few adjustments to start accepting Bitcoins. Once you are there open the Checkout tab, and then click CoinGate. 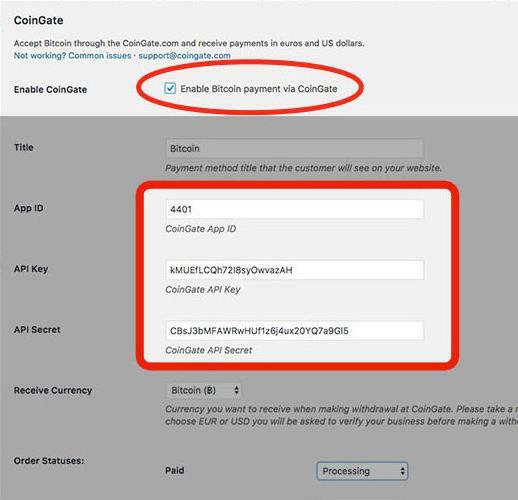 On the next step, you need to tick Enable Bitcoin payment via CoinGate. But beforehand go to the CoinGate website, register there, so you will obtain the credentials needed on the next step, i.e. App ID, API key, and API secret. After you save all these settings you can go to the checkout page and there you will find Bitcoin as a payment option. That's it. Was it easy? I bet it was. As you may have already guessed this is not the only one plugin which you can use to accept crypto payments on your website. FYI, if it happened that you don't have a website this is a place where you can get top themes for WordPress. Now let's have a look at some other options. Spectrocoin plugin allows accepting Bitcoin as a regular payment option. The plugin is integrated with WooCommerce so basically major manipulations will not be required from you. Upload it to your /wp-content/plugins/ directory, or via Plugins section in your admin. Register at spectrocoin.com website, so you could obtain Private and Public keys. 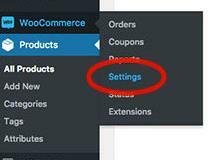 Activate SpectroCoin plugin following the path WooCommerce >> Settings >> Checkout >> SpectroCoin. Just like with the plugin above this can be installed either in automatic mode, or manually. To install automatically open your site's dashboard, go to the Plugins section and type in GoUrl WooCommerce in the search field. You will see this plugin. Hit, Install and wait a bit. 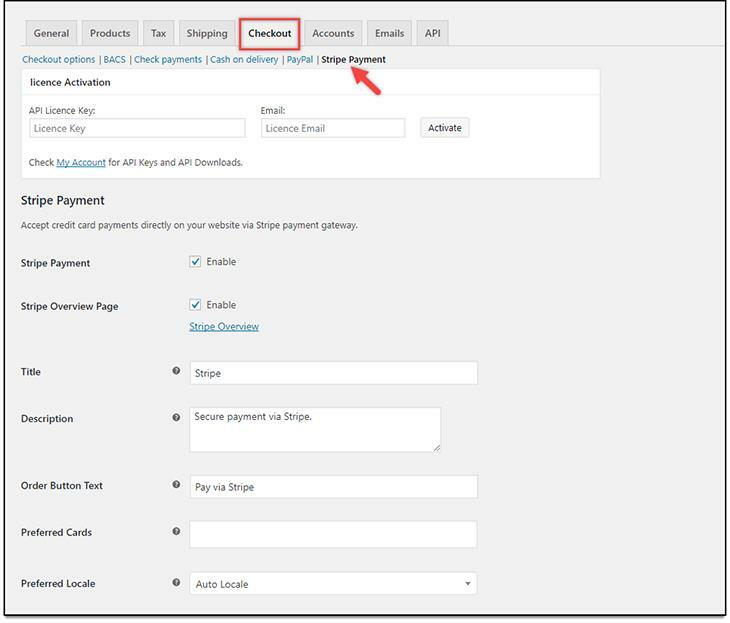 This plugin adds additional payment options to your website which are available at checkout. A free, open source plugin available on Github.com. The plugin supports WooCommerce Subscriptions (another free plugin available on Github). 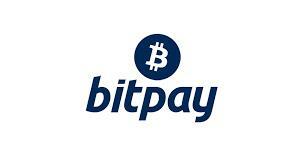 No monthly fees, no bank account needed, transaction fee starts from 0%. Get crypto payments straight to your bitcoin/altcoin wallet addresses. 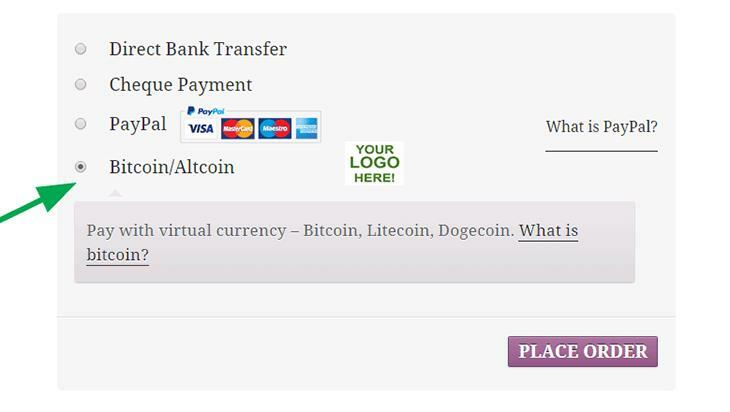 Read here how to convert bitcoin/altcoins to USD/EUR/etc. Direct Integration on your website, no external payment pages open. Here's another cryptocurrency payment service provider who made it possible to accept transactions on any WordPress website. To get started go to Github and download their free plugin. Install in as any other plugin. 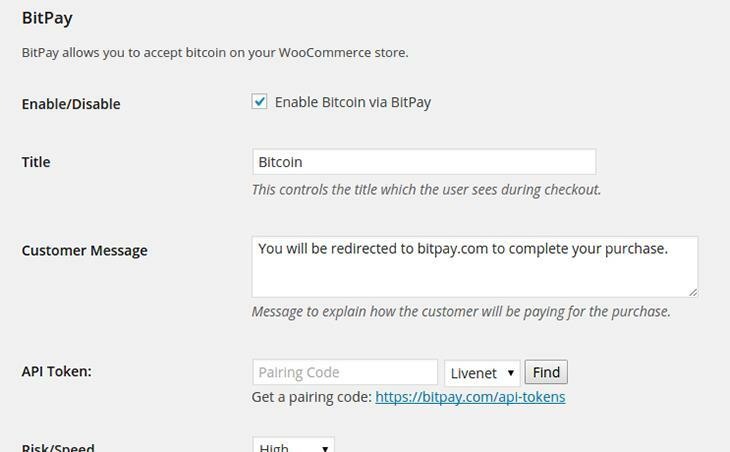 When it's activated go to WooCommerce >> Settings >> Checkout >> BitPay, or go to the configuration settings of the plugins and click the Settings link for this plugin. When you're there you need to enter the API token, which you can get here. In case you've done everything the right way, you'll get the token. Once you apply the token your customers will be able to pay with Bitcoins for the products on your website. And here comes the last item from our list, unfortunately, it's not a free option here you will have to pay $59. 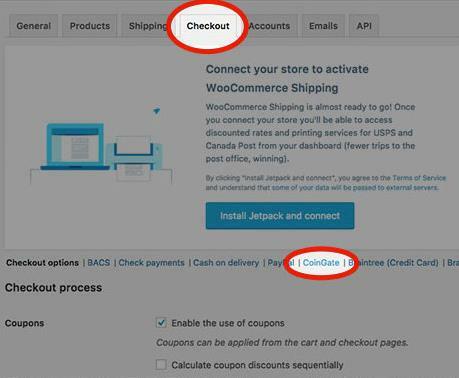 To make this play you need to buy a premium WordPress plugin Stripe Payment Gateway for WooCommerce . 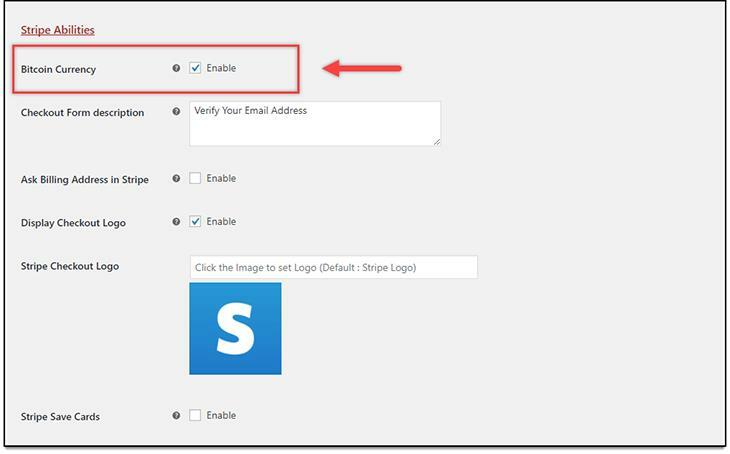 When you install this plugin you need to go to the following section in its settings Checkout >> Stripe Payment. To make this work you need to register Stripe account, you can do it here. After the registration you can redeem credentials you will need further. 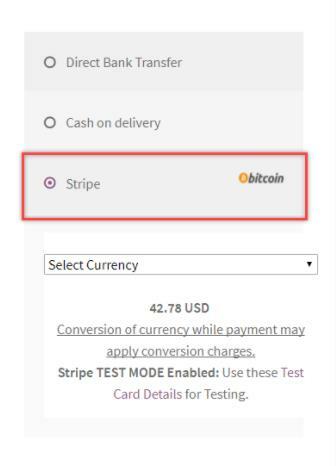 Inside the Stripe Abilities section, you need to tick Enable in the Bitcoin Currency option. In case you've done everything right, you will find this item on your checkout page. Congrats, now your clients can pay with Bitcoins. As you can see saddling the cryptocurrency wave is important for every business. In case you won't let crypto fans pay for your services using their preferable currency you might lose quite a big chunk of the audience. What's more, Bitcoin is still a nice thing to make a personal investment, by getting payments from your clients in this currency there won't be a necessity to exchange your funds into Bitcoin. Do you remember the story how 50 Cent accidentally became Bitcoin millionaire? The rapper allowed his fans to pay for his 2014 album with Bitcoins.